It came as a surprise to most people when Jerome Robinson was drafted as the 13th overall pick by the Los Angeles Clippers at the 2018 NBA draft. However, it was hardly an unexpected event for the b-baller but a reward for his hard work, zeal, and diligence. Before Jerome joined the National Basketball Association league, he proved his worth as a shooting guard with the Boston College Eagles. Let’s learn more about the basketballer, shall we? Jerome Robinson was born in the year 1997 and on the 22nd of February. It is said that he was a multi-athlete when he schooled at Needham B. Broughton High School, playing both baseball and basketball with gusto and ease. He soon decided that he was made for basketball after his sophomore year in high school. According to him, the buzz and rush he felt during a basketball game, and the love he got from his fans made him choose basketball – he has never regretted the decision. Following his decision to abandon baseball for basketball, Jerome left a summer baseball camp and embraced the Raleigh-based Garner Road program where he polished his skills in basketball and learned the principles that would facilitate a fine professional career in the sports. Although he joined the program really late, he would agree that it helped him form his character as a basketball player. 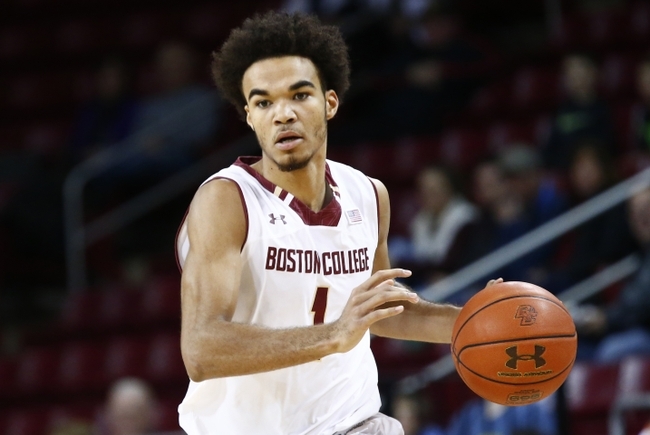 Jerome Robinson joined the Boston College Eagles as the 306th ranked player in the whole country, but this did not mean he lacked potentials. If anything, he immediately showed that he had what it takes to play at the NBA. Irrespective of the losses and drags of his team, Jerome showed excellence, reaching 11.7 points per game. As a freshman, his talent, hard work, and consistency were quickly noticed and acknowledged. This encouraged him to put in more effort and he was able to average 3.4 assist, 4 rebounds, and 18.7 points per game as a sophomore. Many wondered if he’d be able to maintain the performance but Jerome improved on it, pulling off an average of 3.3 assists, 3.6 rebounds, and 20.7 points as a junior. In view of this, the Associated Press named him as an honorable mention in its All-American list. Also, he was named to the 2018 All-ACC First Team. Even though Jerome Robinson could have simply left Boston for another college where it will be very easy for him to get the recognition he deserved and also, the better platform to shine, he didn’t. He decided to stay with the college team irrespective of the fact that it wasn’t doing so well. After playing against future professionals from different colleges in the ACC, Jerome decided to go to California for 8 weeks and play against professionals like Emmanuel Mudiay, Spencer Dinwiddie, Bismarck Biyomo, among others. He knew he would learn a thing or two from the professionals and would become a smarter player after facing them. When Jerome was don with this, he felt he could confidently play against anyone in the NBA, thus he declared his intent to join the league. Twelve months after Jerome Robinson flew to California to play against NBA players and also to undergo their training routine, he decided to declare for the NBA draft. On the 21st of June 2018, Jerome was drafted as the 13th overall pick; he was selected by the Los Angeles Clippers. He plays the shooting guard position and it is believed that his 3 years of College Basketball experience has poised him to be a serious playmaker for the Clippers. Considering his history as one who can fly under the radar and then his hard work and the dedication that brought him into the limelight, Jerome Robinson is indeed someone we should all watch out for in the upcoming season, and in several more to come. Jerome Robinson has nothing to worry about when it comes to his stature, this is because his height is very good for an NBA player – he measures a whopping 6 ft 5 inches (1.96 m). This is more than some NBA players who are already enjoying the limelight of the sport. Although some are of the opinion that his frame needs some filling up, expressing that his body weight of 86 kg (190 lb) isn’t perfect for his height, there hasn’t been any reason to worry about his weight. Jerome’s wingspan measures 6’7.25.